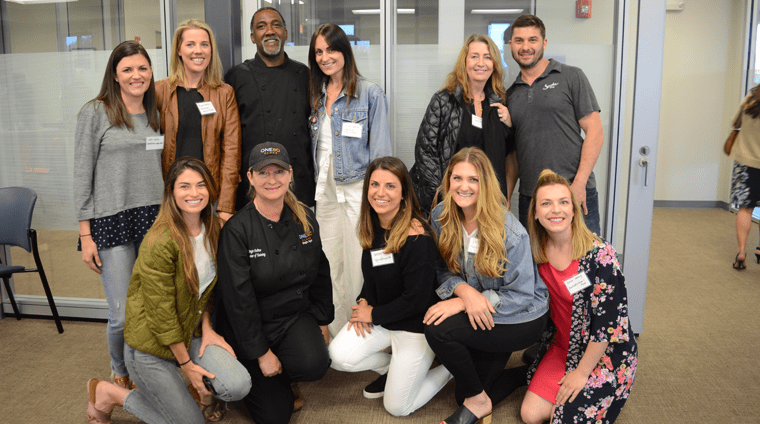 In order to create positive economic impact for our local food + beverage community, Charleston Wine + Food plans to specifically align its support to One80 Place Training and its Food Rescue Program. This program helps to combat the current staffing shortage in our culinary + hospitality community. One80 Place Training is a 5 week culinary crash course that helps enrollees acquire skills to help them find stable, gainful employment. A learned skill increases the chance for steady employment and helps people maintain their housing. One80 Place Training is comprised of guest chef lecturers who come to teach culinary skills, an externship with a local restaurant and then job placement. Our annual festival serves as a paid externship opportunity for all current enrollees and past graduates. We place One80 Place Training students with local chefs to act as support during the festival. We have seen a 95% hire rate from this direct placement. One80 Place serves an average of 175,000 meals annually from its community kitchen to shelter guests and local community members in need on a food budget of 0 dollars. The food prepared and served comes from local food drives and the food rescue truck. Charleston Wine + Food’s Culinary Village serves as the largest food donation that the organization sees yearly. Since partnering with One80 Place Training, the program has seen increased media attention, sponsor donations + relationships and an overall increase in community awareness. Charleston Wine + Food assists One80 Place training through financial contributions, connections to national sponsors + our local chef community and storytelling opportunities.